T'is the Season: Getting You And Your Campaigns Ready! - Take Some Risk Inc.
Its that time of the year again! Feeling stressed about your ecommerce revenue this season? November – December is the period that most companies rely on to get them in the black for the year. I want to discuss some tips and strategies to help ecommerce businesses alleviate the stress of executing a successful retail season. These tips can work for large and small online stores. Setting yourself up for a successful holiday. Launch on schedule, on time and on point. Preparing yourself to tackle any curve balls in a seamless manner. Coming from a retail background, from my time at Best Buy Canada; here are some tips I do to be proactive for the holiday season. Did you have a successful holiday season last year? Look back at performance data from last year’s period to help guide you through estimating your budget, traffic, determine which ads and keywords performed. 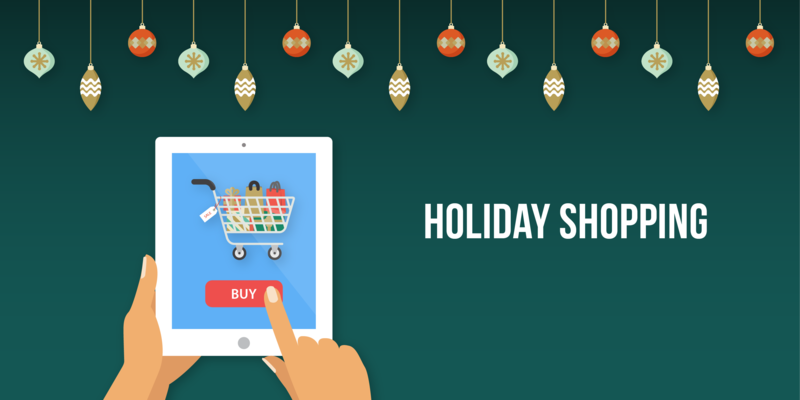 Allow some flexibility in your budget to cover the holiday shopping spikes and lows. By developing these, it will help you focus towards your end goals. You want to also make sure you create a buffer and flexibility in your budget to compensate for the increase traffic during key periods such as Black Friday/Cyber Monday. Steps: Download data from the month(s) you wish to forecast and the preceding month. Second step calculate the change from one month to the next. Third step is to download data for the preceding month you want to forecast for in the current year. Lastly, multiply each metric for the preceding month by percentage change calculated from the previous year. The results will be used to forecast the following month. Set out your marketing calendar early to help you keep organized, aligned and scheduled, in order for your campaign can run smoothly. Determine which promotions you want to run and for how long, and that each promotion is aligned with your overall marketing strategy. Establish a crisis plan of action will elevate any panic scrambles. Once your marketing plan is in place and set, prepare in case trouble arises. Create a call list and confirm the on-call contacts for your holiday campaigns. Define who needs to be contacted for which crisis (ie technical or messaging changes), loop in relevant team members and vendor account teams. Examples would be: If there is an influx of disapprovals, or your feed isn’t updating properly, if there are price mismatches, etc.. If possible, it is recommended to start your sales ahead (Article link) of the Black Friday/Cyber Monday period to capture shopper’s dollars earlier. Companies such as Amazon, Best Buy, and Walmart have dedicated sale days ahead of those key dates to capture as much consumer dollars as possible and then carry over the momentum into these key dates. Getting yourself organized from feeds to campaign structure will help you make those times when you need to adjust on the fly look seamless. Customers will bounce if they don’t see the price and availability they expect, and Google Merchant Feeds will flag any mismatches as disapprovals or warnings which would have an impact on your products appearing on Shopping Ads. Enable automatic update, automatic item updates to make sure that fluctuating products and availability are up to date. By using automation, you will be able to react sooner to whatever needs your attention. Break out and label all your Christmas campaigns, but focus on key products and brands that you want to concentrate on for the holidays. This will keep your accounts clean and sane, especially for broad Christmas focus campaigns. This will be a lifesaver when you have to make last minute changes to campaigns. Have holiday specific keywords and ads, you can refer back to what worked last year and layer in new ones. During this time, users are looking for the best deals so make sure your copy is centered around your deals. Take advantage of extensions to tie-in the holiday theme and highlight your promotional deals. Sometimes when retailers are dealing with a high influx of traffic to their website, they will just focus on capturing the bottom funnel. Rather than targeting only this segment, why not diversify yourself and target various user stages and targets. Examples – Segments broken down by cart abandonment, 7 day/30 day/60 day past visitors, interests segments, homepage visitors versus product page visitors. Holiday traffic can be unpredictable. Make sure that you have enough budget and forecast a buffer budget during key periods such as Black Friday/Cyber Monday to avoid being surprised if your campaign is paused midday due to budgets being reached. Frequent optimization is key to a successful holiday season, as the influx of traffic and promotions disrupt users researching habits, messages exposed, and competitive bidding. If you are just launching a campaign, I would look at YOY holiday performance to start. Monitor and adjust your campaign every few days for the first 2 weeks and then monitor and adjust weekly. As well as you want to pay attention to the ebbs and flows of the season as some users will hold off on purchasing the week before a big sales event, but still are comparison shopping. As well you want to optimize and adjust your campaign during the key sales events as SOV is highly competitive during this time. Lastly, many retailers are in the same boat and will be flooding their respective feed providers, Google with updated feeds. I would suggest giving your vendors as much notice than you normally do the rest of the year as. Rule of thumb I like to follow, I would add on another week in advance to help contain the backlog and troubleshooting any issues to make sure that you are launching on time (especially for key periods such as Black Friday and Cyber Monday). By being proactive, you are able to test the feeds, troubleshoot ads and fix any issues before you set it live. Set up your campaigns in advance if possible, this way you are minimizing any human error by waiting last minute scrambling to set up your campaigns and segments. Hopefully, these preparations help you minimize the stress of the holidays and give you control of your holiday marketing campaigns as they have for me. Remember to take a breath, be calm and don’t overreact and hit the panic button. Happy Holidays!